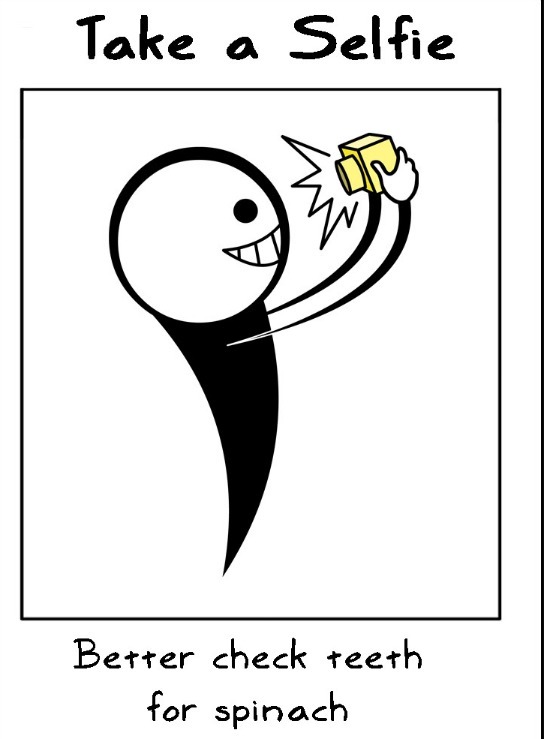 SnapShotz board game spaces have simple directions. Grab any camera (smart phone or tablet), your favorite Photo Booth Props and let the game put family photos on "auto-pilot". 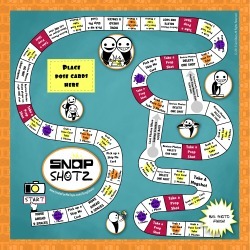 The SnapShotz Photography Board Game has a classic time honored design that players take turns rolling a die and landing on spaces on the way to the "photo finish." Below are just some examples of the SnapShotz board game spaces. "Deceptively simple play that masks great depth and replay ability. Old school board game fun meets new camera technology." 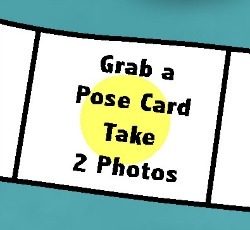 PoseCards are placed on the game board to be ready to be drawn when players land on "Grab a PoseCard" spaces. Players CAN share the same space. "Grab a PoseCard" spaces direct a player to grab a PoseCard from the deck on the board (there are 18 cards in the original deck). 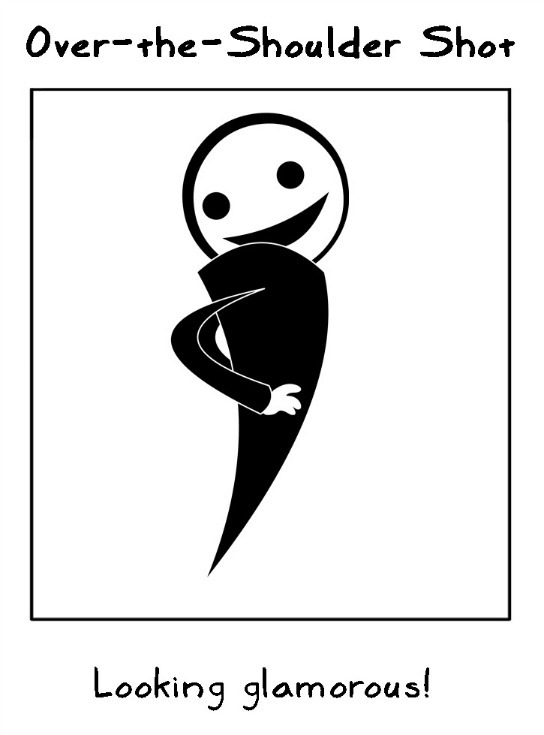 They are simple, gender and ethnically neutral, cartoon like portrait pose suggestions. They are easy to mimic and copy by all age levels and personalities. Cards range from silly to serious and trendy to classic poses, selfies and, in some cases, may involve another player or players. 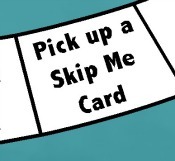 "Pick up a Skip Me Card" spaces act to help "tap the brakes" and help any reluctant or shy players to warm up to the game. Most cards end up never being used. Most people will get caught up in the action and find it to be the perfect excuse to play around while taking photos. "Take a Prop Shot" spaces give players the chance to get silly and play around with some Photo Booth Props (not included with the SnapShotz Photography Board Game) We have seen younger kids mix and match the props and the fun is contagious. Time to Try Out a Selfie? 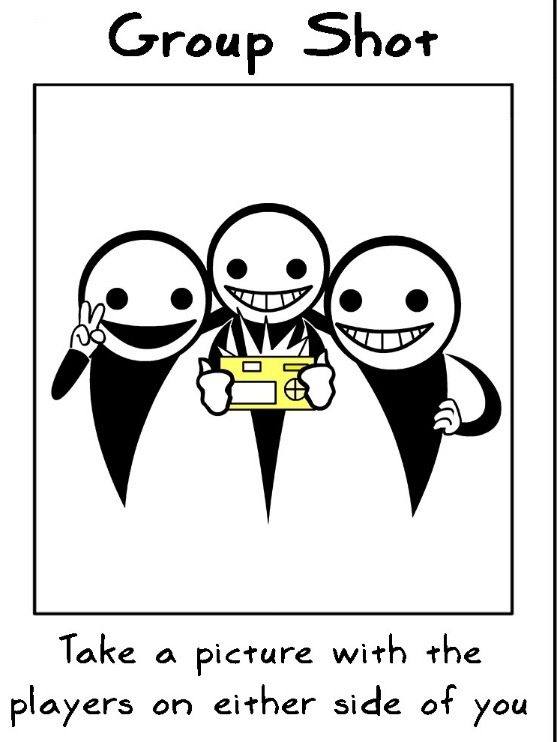 The game provides a great opportunity to experiment and try out your "selfie skills." Odds are that someone younger on the table can help you out if you haven't jumped on the bandwagon yet. Watch out, you might just get hooked! Two slide back chutes (inspired by Chutes and Ladders and Candyland) have been added in case any one player has jumped out too far in front of the pack. Younger players love to react when someone ahead of themselves gets sent back a bit. The few spaces scattered at the beginning that allow a player to "move forward x spaces" have been inserted to help spread out the tokens in the early part of the game. 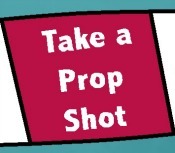 They also help in moving a few players toward the "prop shot" opportunities quicker. We would never want the game photos to deter people from playing together in the future. The goal is to capture some photos that people should frame or share and add to their self-esteem and confidence. The average game time is 15 minutes (depending on the number of players and their personalities where the pace will differ). You are almost guaranteed to hear "Let's play again" after the game is over. Players usually want to try out a Pose someone else was asked to do before or have another opportunity to try on a Prop they didn't get a chance to use. They will never get tired of using the camera (smart phone or tablet). There is no limit to the photo effects apps that could be applied to the game or the holiday and other themes for the props that can be used. We would love to have you share with us any Gameplay ideas you or your group comes up with when playing the SnapShotz Photography Board Game. Click on the "visit us" link below.